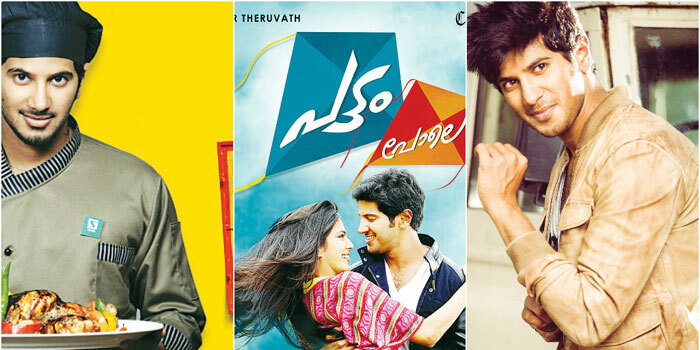 From a boy with stage fright to one of Malayalam cinemaa��s most wanted heroes in just three years, Dulquer Salmaan wants to match his dada��s repertoire one day. Being Mammoottya��s son, youa��d think acting was hard-wired in the family genes. But as it turns out, Dulquer Salmaan almost didna��t make it into movies because he thought he a�?wouldna��t be any good at it.a�? In fact, as a young boy with stage fright, he kept well away from theatre while at school and college. It was only when working in sales and marketing at a Dubai-based construction company began to pall that he considered the big screen. Now, with eight movies under his belt (many of them hits), Salmaan is one of Malayalam cinemaa��s most sought after young stars. And yet hea��s still the shy, reserved boy hea��s always beena��who loves a long drive (listening to Frank Sinatra, a�?he calms road ragea�?) or reading a book to partying. When in college, he used to study in a bookstore! He still packs his books on outdoor shoots because, as he puts it, gadgets like Kindle a�?dona��t make any sense to me. I need to hold a book, smell it.a�? Having wrapped up his Tamil debut, Balaji Mohana��s Vaayai Moodi Pesavum, which was shot in Munnar, Salmaan talks about his foray into a new industry. He admits it wasna��t a conscious move. a�?Ia��d got several Tamil film offers before this, but none hooked me. This script, on the other hand, got me very excited. I could connect to it. Moreover, Balaji is one of the directors Ia��ve admired and wanted to work with,a�? says the 27-year-old actor, revealing nothing about the film except that it is a�?a rom-com with an interesting twist.a�? The bilingual film, which is tentatively set to release by the end of March, also stars Nazriya Nazim. Despite growing up in the household of one of Malayalam film industrya��s superstars, Salmaana��s childhood was quite uneventfula��perhaps because his father moved the family to Chennai when he was quite young. a�?In this city no one really understood the scale of dada��s popularity,a�? says the actor, who did his schooling in Sishya and then went on to pursue a Marketing and Finance degree in Perdu University in Indiana, USA. a�?I didna��t realise my dad was an actor until I was in middle school.a�? Though visits to film sets were a part of his life, it was a small parta��Salmaan remembers gulping down bottle after bottle of Gold Spot more vividly than meeting yesteryear greats like Thilakan (with whom he later did Ustad Hotel). But thata��s not to say he consciously avoided the movie industry. a�?I used to make short films while I was in high school. I would get the staff to act for me and I would record it on my camera,a�? he says, admitting that he wants to take up direction some day. a�?I have full screenplays in my head. When I was 21, I even discussed this a�?dark and tragica�� script with dad.a�? But right now, he wants to perfect his craft. a�?Dad was a daunting figurea��and it was one of the reasons why I took such a long time deciding if I wanted to get into films. Once I made up my mind, I attended an acting course at Barry John in Mumbai,a�? he says, adding that despite all that preparation, the first day of shoot was still scary. a�?Srinath (Rajendran, the director of Second Show) tried to ease me into it. My first shot was a montage, of me shopping at a mall. But the retakes were harrowing. As the number of retakes went up, I got more conscious,a�? laughs Salmaan. However, Rajendran is quick to come to his defence. a�?For a newcomer, Dulquer did a really good job. He put a lot of thought into his acting. With every film I can see him growing,a�? he says. Now that Salmaana��s got a handle on things, with several hits under his belt, he is more aware of his strengths. a�?I am a sensitive person so intense emotional scenes are my favourite,a�? he says. Another forte: playing the urban, educated NRIa��a persona a lot of directors have tapped into already. a�?When I made Neelakasham Pachakadal Chuvanna Bhoomi (Blue Sky, Green Sea, Red Earth), I wanted someone who had the body language of an NRI. I had Dulquer in mind when I wrote the script,a�? says director Sameer Thahir. However, thata��s an image Salmaan wants to break away from because he feels it will limit the range of his films. a�?I know I cana��t be too choosy either, so ita��ll be a tough balancing act,a�? he admits, saying that his dream is to one day have a portfolio with off beat and commercial releasesa��much like his dad. Talking about Mammootty, we ask if he discusses his roles with his father. a�?No. He wona��t even come for script discussions. No one advised him when he was building his career, so he wants me to learn and grow on my own. I love that,a�? says Salmaan, adding that any praise from his father would trickle down to him through his mother. Mammootty is known to maintain a quiet front when quizzed by the media about his son. Naturally though, his father has been a great influence, admits Salmaan. a�?My favourite film is Mani Ratnama��s Thalapathi, in which both my dad and Rajini sir gave fantastic performances. Ia��ve watched it innumerable times. It was the only film I packed along with my books when I went to study abroad,a�? he says. Salmaan, who got married before he entered filmsa��to Chennai-based architect Amal Sufiyaa��says he is his own toughest critic because his mother, wife and friends are all biased. a�?I read the negative criticism more than the positive. I am a paranoid actor and I am definitely not a spontaneous one. On set, I am always learning my lines or thinking about what my character does,a�? he says. Director Mohan seconds this. a�?He is a studied actor. Between shots, hea��s always thinking about how to better his performance. In fact, he was never happy with his shots and would keep asking me for retakes until I told him he had performed really well,a�? says Mohan, adding that he showed a rough edit to Salmaan to assure him that his first Tamil film had come out well. Salmaan is very clear that he is not a star, not yet anyway (one of the reasons why he didna��t have a flashy debut). a�?I want the scale of my films to grow with me,a�? says the actor, who names his father and greats like Kamal Haasan, Mohanlal and Rajinikanth as his idols. Producers already want to cast him and his dad, and while he doesna��t discount it ever happening, he says for now a�?sharing the screen with him terrifies me.a�? Salmaan wants to do a good mix of movies, irrespective of the languagea��right from action and comedies to biopics. a�?I also want to do a cop film because Ia��ve been told that you havena��t arrived as an actor unless you don khaki on screen,a�? laughs the actor who is currently working on Anjali Menona��s multi-starrer, Bangalore Days, and Lal Josea��s Vikramadityan. As for his wish list of directors (Mani Ratnam being a part of that list, obviously), he doesna��t want to put anything out therea��hea��d rather they approach him because they think hea��s worth it.